Our NJAC Clinic Program has expanded to include a Pre-Swim Team! This will include clinic practices, small group technique lessons, and practice swim meets. This is an opportunity for our swimmers who are looking for more than a class once per week, but who are not ready or do not want to make the huge commitment of joining a YMCA or Club Swim program. The program will allow each family to customize a class schedule that works for them! This program is offered by the session. In addition to weekend clinic classes, Pre-Swim Team group and private classes are available during the week. They will be taught by our coaching staff. All days and times are available in the portal by sorting for “Pre-Swim Team Group” and “Pre-Swim Team Private” options. This program is set up to encourage swimmers to swim one clinic on a weekend day at CCM or MBS and one Pre-Swim Team technique lesson on a weekday at our Denville, Parsippany and Clinton locations. During the clinic class, we will be focusing on technique, endurance, and team mechanics. During the weekday technique lessons, we will be able to focus on the exact skills that each swimmer personally needs in a small 3:1 setting. It is also possible for a swimmer to only swim one clinic weekend day (without the weekday technique class) and still be a part of our Pre-Swim team. All package options are below. Offered at various times Monday-Friday at our Denville, Parsippany and Clinton locations. Opportunity for swimmers to practice racing off the blocks in an informal practice setting. Offered 2-3 Saturdays per session, in place of your clinic practice that week. This is an opportunity for swimmers to race just like a formal swim meet! Each swimmer will compete in as many of the 4 strokes as they wish, and times will be recorded. Each swimmer who participates will receive a ribbon. This will be our showcase event, and will be offered once per session in place of your clinic practice that week. Here at NJAC, we believe in developing a lifelong love of aquatics through our coaching program. We also believe that developing character is essential to all youth sports. We will have a monthly character development component that will work in to our practices. 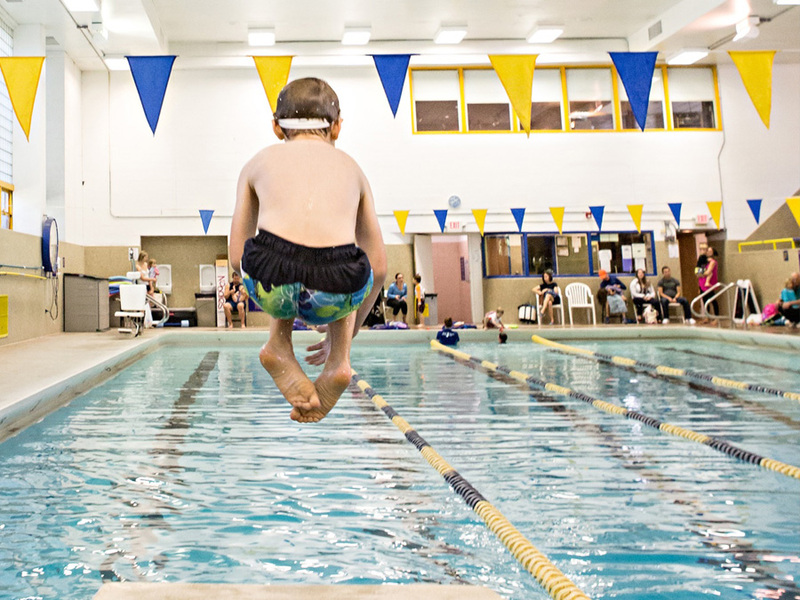 Summer 2019 – our swim team will not run in the summer since most of our swimmers will compete on local outdoor teams! From time to time, CCM and MBS close due to events on campus, etc. When this happens, we will offer an alternative clinic time at the other school for that weekend. Each swimmer will sign up for 1 or 2 classes per week. Since we know our athletes will likely be playing other sports, we are happy to change your weekend clinic class day as long as we have a request before 1:00pm on Fridays. Requests will be granted based on availability so that we ensure our groups remain small and effective. Requests for weekday class makeups will be honored if we have space in other technique classes. This program will run September-June, and span our Fall, Winter, and Spring sessions. You may opt in by the session, or for the entire year.